As a perfect complement to other skin treatment procedures, or as a stand-alone option, advanced chemical peels are a great solution for smooth, healthy-feeling skin and a more youthful appearance. Chemical exfoliation provides the ability to customize treatments for each individual client to achieve subtle, gradual or astonishing transformations. Our belief is to properly exfoliate the skin while repairing, rebuilding and renewing a NEW YOU! Pricing ranges from $100 to $700, depending on the severity and desired results. 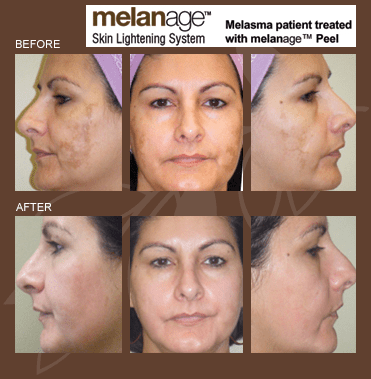 The beauty in the Melanage Peel is that it removes the discoloration, melasma, pregnancy masque, and sunspots plus age spots in a simple non-invasive treatment. The best part is that it is the first treatment that is truly effective for darker skin tones, heretofore the category of skin that has not seen much benefit from peels and laser treatments. With your peel, all post care products are included. What to expect from the Melanage Peel? The Melanage Peel involves the application of a skin lightening masque that is prepared and applied by the Registered Nurse and removed by the patient at home after a recommended amount of time. 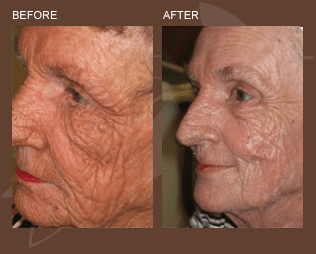 Patients after the treatment follow an easy-to-follow but strict skin care regimen to achieve the best results.